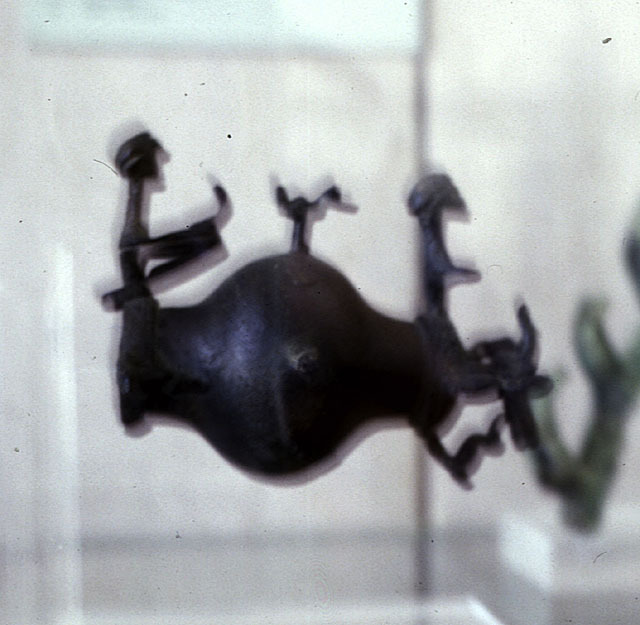 This curious object was photographed by my father in the late 1980s in the museum of Samos, Greece. Unfortunately the photos are not particularly in focus, because my father had to take them in secret. It was strictly forbidden to take photographs in the museum. He used a second the guards didn't pay attention to take the two photographs on the left. The object is about 20cm long. There are two human like figures with helmets sitting on some kind of machine. The two figures have slightly elongated heads. The left figure is holding some kind of monitor or screen that seems to rest on a board which is wrapped around the hips. 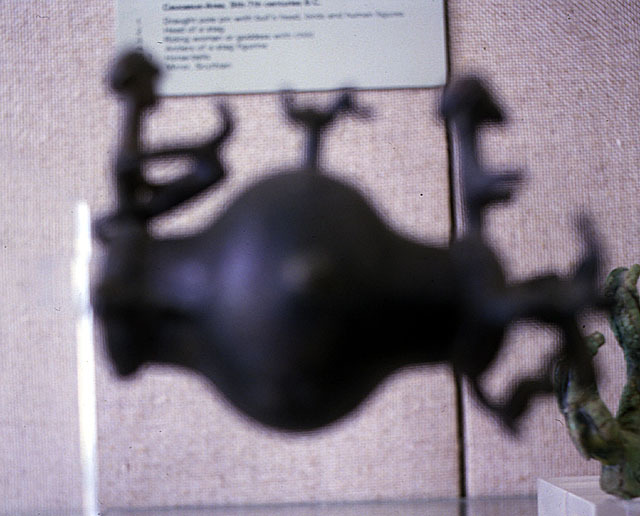 On the right side of the object is another figure. Unfortunately both arms are broken off. On the far right end of the object is a stylized bulls head. But nothing else of the object are from a bull. No legs, no torso. In my opinion the bulls head symbolizeds the power in the machine.